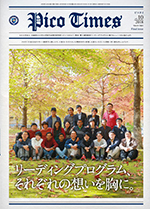 The Leading Program in Doctoral Education seeks to advance the reform and development of graduate school education in Japan. These programs will help participating universities to become internationally recognized as the leading centers for research in the world. Top-ranking faculty and highly creative and internationally focused students are brought together in these programs to develop future leaders that will make major contributions in academia, industry and the government sectors around the globe. The Leading Program has been carefully designed by top-ranking faculty and leading professionals representing all of these sectors. Program is designed to be cross-disciplinary and internationally focused. Planning and execution of these programs will create a bridge between existing masters' and doctoral programs by implementing curricular that cuts across the traditional fields of specialization.